Undercuts pits to 1/2" by 1/32" increments. Able to reach bottom of 18/" diameter by 1/2" deep hole. Checks undercut, Checks porosity, Checks pits, All Stainless Steel. Get proper socket weld fit-up in one-tenth the time. 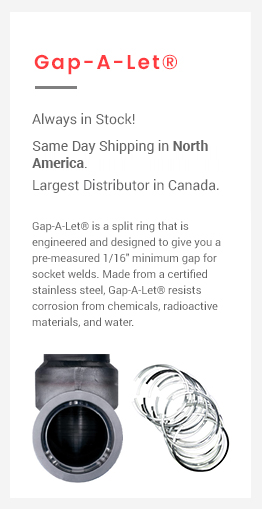 Every socket weld gap, the proper 1/16” minimum required by ANSI 31.1, Section III, ASME, US Navy & Military Codes.